How much of love is about combating atrophy? It could be more than we think, couldn't it? Could it just be about keeping the heart pat and the feet stirring, continuing to dance with that same partner, not just propping them up off the side of the couch, cutting off circulation, socks smelling and pointed toward the lamp? It's then when everything turns bad, when love is taken for granted, when the joints get creaky, after the face droops and the hairline drifts. 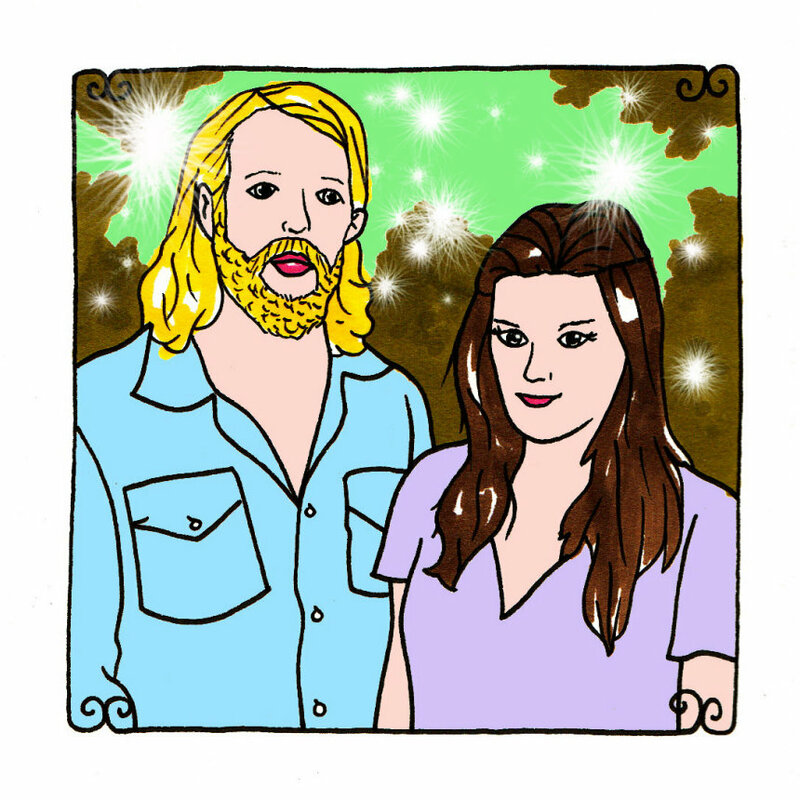 Emily Olson Roberts and Ben Roberts of the folksy/bluegrass-y East Nashville band Carolina Story sing about being penniless and being thankful for nights that start with waking up on the right side of the ground earlier in the day. They sing about keeping the dirt out of your mouth and believing that the dust might actually be gold. It might be about perception. They sing about lovers who deserve apologies - for all kinds of things. They sing about the mysteries of keeping true. They know it "by the way you cut your hair." They cry late at night, over the phone from cheap hotels, like one in particular from Memphis. Goodnights, with a gentle roll over for a kiss and some fingers slinking through a head of hair, so lovingly and tenderly, before a roll back and the quick, exhausted check out, are too beautiful to put into words that will do them justice, but you get a sense that Carolina Story try their hardest to get as many of them as possible. They are there for the taking, with just the minimum of effort, just remembering what matters.